Seeds of Choice provides an in-depth analysis of the regulatory frameworks that cover varietal testing, release and dissemination. The book analyses the varietal testing system used by the All India Co-ordinated Crop Improvement Projects. The study reveals that reforms are needed, if a greater choice of varieties is to be provided to meet the diverse needs of farmers in widely differing agro-ecological situations. 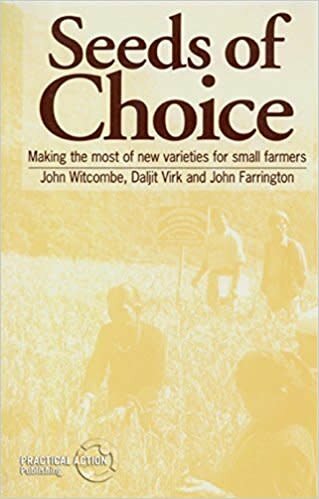 The evidence presented in this book shows that approaches to increase the involvement of farmers in crop improvement is the most promising reform to the system. The challenge is to incorporate farmer participation as an integral part of the varietal testing system. Seed of Choice is addressed to all those concerned with crop improvement such as plant breeders and agricultural extensionists, agricultural development workers, including researches, policy makers, donors, voluntary agencies and commercial seed producers.